“Maman died today. Or yesterday maybe, I don’t know.” Thus begins one of the most striking, complex, and widely read novels of the twentieth century. 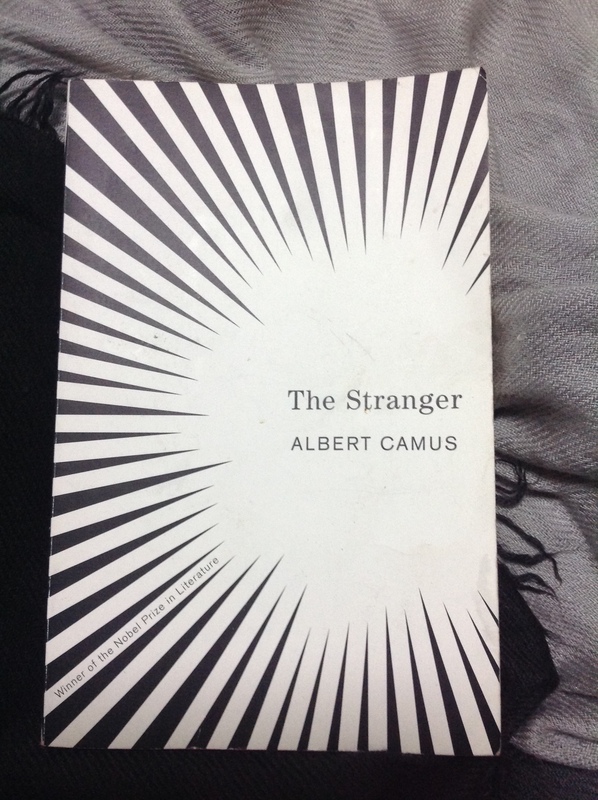 L’Étranger, translated as The Stranger, is arguably the most popular work of French novelist, author, and philosopher, Albert Camus. The story follows the life of its main character, Mersault, as he goes from learning about his mother’s death to being tried for one of the most senseless murders in the history of literature. The novel unfolds through Mersault’s perspective, and is divided into two main parts—before he committed the crime, and after his arrest. As a side note, let me start off by saying, translation matters. Bear in mind that the Mersault I met was the byproduct of Matthew Ward’s translation. In reading this book under a different translator—whether it be Joseph Laredo or Sandra Smith—you may encounter a different version of Mersault—one that’s either more apathetic or sympathetic depending on who you’re reading. Though all roads lead to pointless murder and an equally ludicrous trial, these translations offer nuances that could shift your perception of the novel’s protagonist. The novel begins with Mersault’s acknowledgment of his mother’s death. It’s important to note his matter-of-fact tone, when he talks about needing to borrow a black tie and catch the two o’clock bus to Marengo, where the old people’s home was located. When he gets to the home, he refuses to see his mother for the last time, choosing to keep the casket closed. He doesn’t divulge what he feels about the matter, opting instead to offer a commentary about the wake and the long walk to the funeral. His indifferent behavior doesn’t escape the notice of the home’s director and caretaker. Upon returning to the city, he immediately takes on a girlfriend, Marie, and makes friends with his neighbor, Raymond—a shady, woman-beater who is generally disliked in the neighborhood. With his help, Raymond manages to lure his mistress back into his apartment, where he proceeds to beat her up after suspecting her of carrying on an affair. The young woman’s brother, an unnamed Arab, begins tailing Raymond. During a beach trip with Marie and Raymond, Mersault proceeds to kill the Arab. He shoots the Arab four times with such jarring apathy, with his only explanation being that he did it due to the intolerable heat. While the crime was not premeditated, his lack of motive only served as proof of his unacceptable character and his obvious guilt. The novel concludes with a breathtaking monologue that is equally true as it is tainted by choice. Faced with a chaplain attempting to salvage Mersault’s soul, our protagonist launches into an impassioned tirade about how nothing mattered, for everyone was privileged to live and be carried by the tides of fate, and everyone was equally condemned to face an end—whatever that end may be. With this statement we find Mersault taking command of his fate, for his death was merely the result of the choices he’s made. Choices that didn’t matter to the protagonist. It was simply the way his life unfolded. Down to a personal review. To be honest, I itch at the term ‘protagonist.’ For while it’s true that Mersault is the subject of the book, in many ways, his personality becomes the main deterrent against his freedom. But perhaps, that is the point of the whole novel. For if a man condemned to death feels that he is free, if he thinks that he is more free than the rest of the world which is shackled by societal norms and notions of convention, than are we in any position to deem him as limited, condemned, or even damned? Here was one man who lived according to his terms, though his actions were deplorable, his thought processes, irrational. The point is that they were his, and no one else’s. With Mersault, remorse was an alien concept. He shunned introspection and worship (religion), simply because he had no time for them. To him, these were pointless activities, for what did it all matter in the end? How did such things figure into a man’s final moments? Though I don’t subscribe to such a bleak outlook in life, I can respect Mersault’s views. I find the desire to be free, free as defined by the individual, to be completely human. Despite the character’s cold and detached nature, he was, purely and simply, a man exercising his right to exist as he saw fit. I highly recommend this book to anyone interested in philosophy and existentialist and absurdist literature. Also, for a thinking piece, this one’s a surprisingly easy read that leaves you pondering the purpose of human existence.